Solid article in Computerworld about WiMax and cell standard LTE (Long Term Evolution): Given that LTE will be deployed by AT&T and Verizon, and WiMax by Sprint’s joint venture with Clearwire, it’s useful to study how the two standards compare. Fundamentally, LTE is an evolution of GSM, which makes it easier to deploy alongside existing GSM equipment; WiMax is all new, but it has the advantage of being ready to deploy now. The article puts mass-market availability for WiMax in the US as late 2010 (Clearwire’s estimate of 120 to 140m people passed by the end of 2010), while LTE won’t hit large populations until 2011 or 2012 in Verizon and AT&T’s plans. On the speed front, LTE has ostensibly a 100 Mpbs top while WiMax has a 70 Mbps top. In Clearwire’s deployment, noted here, the average speed will be 2 to 4 Mbps with peaks of 10 Mbps. LTE will likely have the same kind of provisioning, to allow peak usage as needed, but nowhere near the top. Also, the 70 Mbps figure for WiMax is for the largest possible profile—the biggest swath of spectrum. Clearwire isn’t deploying that profile. T-Mobile launches an HSPA network in New York, with more markets to come in 2008: The company was rumored to be only offering voice over 3G and a UMTS network. The announcement today says they’ll offer full HSPA, with handsets coming later in the year for that network. For now, they have UMTS (slower) devices. That means that the network will operate at first due to device limitations just at 200 to 300 Kbps downstream. Because T-Mobile bought 1.7 GHz and 2.1 GHz spectrum, they’ll need special hardware designed for their network; 1.7 GHz isn’t used in the US previously or in Europe for 3G. The Long Term Evolution (LTE) standard is emerging as the likely “winner” for 4G networks: If you asked what fourth-generation (4G) cell networks would look like a year ago, you probably would have bet on three horses: Qualcomm’s UMB (Ultra Mobile Broadband), a continuation of CDMA; LTE, a continuation of GSM; and WiMax, an entirely new standard designed around having much larger and varied swaths of spectrum available. Om Malik reports that between the CTIA cell phone show last week, and the Verizon and AT&T announcements on their plan to use LTE in the 700 MHz band, that LTE seems to have the leading position for dominating 4G networks worldwide. He has a summary of the telcos committed to it, which include outside the U.S. pan-European carrier Vodafone (which is also a minority owner of Verizon) and KDDI in Japan. LTE had an edge because GSM dominates worldwide. Sprint has committed to WiMax (for now), which keeps UMB out of play in the states. T-Mobile is likely to commit to LTE as part of their long-term U.S. strategy, too, since they’re a GSM carrier. Mobile base station makers to introduce double and quadruple speed EDGE: EDGE is criticized for being an also-ran technology, despite its wide use. It’s 2.5G, the mid-generation step between modem-speed/voice 2G and wanna-be broadband 3G. But EDGE’s evolution takes its top potential rate of 236 Kbps in the current implementation to 592 Kbps, InfoWorld reports. This is an advantage for countries and carriers that don’t have 3G rolled out, because existing spectrum and licenses can still be used. For some equipment, the upgrade is just a software change; for phones, new chips are needed. A future version of EDGE, EGRPS II, will boost downstream speeds to 1.2 Mbps and upstream to 473 Kbps. A U.S. District judge has provided Broadcom with broad wins: The judge provided a permanent injunction against Qualcomm’s ability to sell cellular data chips that were deemed to infringe on Broadcom’s patents. Qualcomm must immediately stop selling WCDMA chips—that’s the technology used in UMTS and HSPA, 3G extensions of GSM—and can continue to sell EVDO chips through Jan. 2009 to customers they were selling products to as of May 29, when the infringement case was decided by jury. Qualcomm faces a mandatory set of royalties for those continued chip sales, and must negotiate with Broadcom for one set of royalties that the judge didn’t proscribe. Qualcomm will be able to design around this injunction by producing new chips that don’t use the same processes that were found to violate Broadcom’s patents, but it will take a number of months, and leaves them out of the rising HSPA market that AT&T and T-Mobile will be pushing harder on as AT&T completes its faster 3G network and T-Mobile starts its real 3G buildout using frequency purchase at auction several months ago. Sprint Nextel offers a free 30-day trial of its EVDO modem included in a Sony Vaio model—if you can get them honor that: James Martin of PC World spent an inordinate amount of time getting Sprint to honor a coupon expiring Dec. 30 of this year for a 30-day free trial of Sprint Mobile Broadband. He had to make multiple calls and visit a Sprint store to get the deal in the first place, and make two calls and send two faxes to get the service canceled without him being charged. Unacceptable. That’s a strategy, not an accident, or Sprint’s internal customer support systems are incredibly poorly designed. The latter is more likely. While Sprint told Martin regarding the free sign up that representatives are being trained and should follow procedures, in the latter provided no real explanation for the charge and his problems in getting it removed. Any decent support system shows account details when a customer’s account is pulled up, including things like any special promotions, and when they expire. The conclusion is that Sprint has terrible back-end systems, not an unusual state of things. The carriers are choosing their partners for network evolution: Sprint Nextel chose WiMax (and we’ll see if that sticks), and now Verizon chooses LTE (Long Term Evolution), a cell data technology that’s being adopted widley in Europe, including by its minority shareholder Vodafone. By choosing LTE, Verizon would allow better international roaming; its current CDMA technology for 2G and 3G connections is used only in parts of Asia by certain carriers and by Sprint. This is a blow to Qualcomm, which hasn’t gotten traction on its 4G flavor. LTE has a rated speed of 100 Mbps downstream with 20 MHz of spectrum, but U.S. carriers are typically deploying 1.25 to 4 MHz for their 3G offerings. To achieve the best rates, more spectrum or different alignment of spectrum will be required. That’s partly what the 700 MHz and some recent auctions were about. Qualcomm takes a step in the interests of worldwide 3G compatibility: The company will release Gobi, a chipset that would allow a laptop computer to connect over either EVDO or HSPA, providing worldwide compatibility, as well as interoperability with both standards within the U.S. This could drive 3G into laptops in high quantities, with manufacturers no longer needing to secure a deal with a particular operator, or have extensive explanations about service issues for their users. Nearly 9m laptop cell modems will ship in 2007, with 2/3rds supporting GSM standards. Connected with this, carriers need to band together to offer better international roaming. If you’re an AT&T customer, for instance, you can roam to many other countries through partner agreements while using GPRS up to HSPA, but even with monthly subscription plans, you pay a high rate relative to domestic costs, and have low limits on throughput. Carriers like to eke out the maximum dollars from roaming, but with the potential of millions of laptop owners traveling who could use a network but avoid it due to cost, and who have Wi-Fi available at a generally lower cost, operators might need to rethink this high-margin strategy in favor of higher revenues. HP will integrate an EVDO Rev. A modem tied to Sprint service into business notebooks: Models with starting prices ranging from $929 to $2,049 will include the modem. A free month’s service is included for computer buyers who sign up for one or two years. Embedding a cell modem dramatically reduces the cost of customer acquisition, even though it means that many laptops are sold with modems that are never used. It’s still a worthwhile tradeoff for HP and Sprint, clearly, given the $720 to $960 yearly fees paid by EVDO subscribers coupled with the lack of needing subsidize $100 to $200 for a PC Card or USB adapter for those who sign up for two-year subscription. This is almost certainly substantially cheaper overall, and improves reception quality by allowing an antenna to be designed into the laptop. Kyocera made a very early announcement about a new cell router, the KR2: The new model, no pricing announced, will ship in early 2008, and features 802.11n, and support for EVDO Rev. 0 and Rev. A through a PC Card, ExpressCard, or USB cell modem. No existing cell router offers 802.11n for wireless LAN networking, nor do any competitors yet support ExpressCard, and Kyocera current $150 KR1 is the only one to handle tethered USB connections via supported phones. 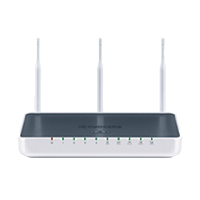 The router has the usual four Ethernet ports, supports Wi-Fi Protected Setup (WPS), and can fail over to cell from broadband wired networks. I suspect they’re trying to get the leap on the competition by preannouncing something at least three months and perhaps six months before it’s ready to ship. AT&T has started to upgrade its network to handle HSUPA—the U being for Uplink meaning upstream—and now has a card that can handle that, too: The Sierra Wireless AirCard 881 LaptopConnect PC Card will support HSUPA speeds that should average between 500 to 800 Kbps as AT&T upgrades its network this fall. HSDPA (downlink or downstream) already offers rates that AT&T cites as between 600 Kbps and 1.4 Mbps, although that 1.4 Mbps figure is closer to a peak rate (they don’t use the word average here). AT&T is deploying 3.6 Mbps HSDPA, while 7.2 Mbps is already available in Europe. Competing 3G networks from Sprint Nextel and Verizon offer comparable speeds on the portions that use EVDO Rev. A, which is an ever-larger majority percentage of both those firms’ networks, reports say. The card is free with a two-year contract until Nov. 3, and has the usual $60/mo. with commitment rate, or $80/mo. with less, for unmetered usage. The AirCard 881 works with GPRS and EDGE worldwide, too. Big move for Broadcom, despite modest appearance: EDGE may be old technology, but it’s being rolled out like crazy in devices, since the networks have been built and are underused. Hence, the iPhone. Broadcom said today that Nokia, the dominant handset maker, will buy its EDGE chips from them. Broadcom says EDGE will be in 400m devices by 2009. Broadcom is riding high on the various bits of news and legal decisions related to its ongoing patent battles with Qualcomm, including the decision by the US Trade Representative to allow a trade commission standing banning new handset models with Qualcomm 3G chips from entering the country; a judge’s slapdown of Qualcomm’s attorneys and standards’ group practices that have led the judge to find two patents invalid; and the potential for more of the same to come. NTT DoCoMo is using MIMO for its so-called 3.9G network tests: The Super 3G networks would supercede HSxPA (high-speed downlink or uplink packet access) networks with potentially 300 Mbps of downstream performance. Today’s HSDPA service caps at 7.2 Mbps for a channel. AT&T’s EDGE network suffered outages in the West and Midwest: AT&T didn’t tell Nancy Gohring, friend of this site, when the outage started, what caused it, or what they’d do to prevent it in the future. Customers weren’t notified in any fashion, either, despite the wide availability of broadcast SMS, which AT&T uses for sales purposes. This was the first business day after the iPhone went on sale; the iPhone uses EDGE when a Wi-Fi network isn’t available, which means most of the time outside a home or coffeeshop. RIM CEO says Blackberry with Wi-Fi due in 2007 second half: Adding Wi-Fi allows them to keep abreast of competition, for whom Wi-Fi is becoming a necessary feature. Given that the iPhone (not a true Blackberry competitor, but still) will have EDGE + Wi-Fi, RIM has to match that feature set, too. RIM’s enterprise server software encrypts connections end-to-end, so even insecure Wi-Fi will meet corporate and government standards. The CEO asserts that Wi-Fi to cell voice handoff will be a piece of cake, but it doesn’t sound like he mean it will be seamless. China will accept W-CDMA and CDMA 2000 as standards on its future 3G networks: These two international standards can be considered alongside the domestic TD-SCDMA technology China has been testing for years, and which the country issued a spec for in January 2006. Adding these options as acceptable 3G technology choices may simply be a sop to conform to international pressure or requirements. China prefers to have unique, domestic standards, and to require foreign manufacturers to partner with Chinese firms to manufacture gear using non-domestic standards. It also likes to have specific methods by which the government can easily access information and data on Internet, wireless, and cellular networks, and their homegrown standard may be more amenable to that than those created for international markets. A band of makers and operators will work on Long Term Evolution (LTE) wireless networks: LTE will ultimately supercede HSPA (HSDPA/HSUPA) standards, and will compete with mobile WiMax for newer markets. The new consortium includes major European operators (Orange, T-Mobile International, Vodafone) and major equipment makers (Alcatel-Lucent, Ericsson, Nokia, Nortel, Siemens). The trial will look at topping 100 Mbps. Nova Media offers a €299 ExpressCard with Mac OS X drivers: Mac users often see worse or lagging drivers for cell data modems. Nova Media has filled that gap in the past. Now they’re offering an ExpressCard that supports the highest worldwide rates for HSDPA: 7.2 Mbps. The card can also handle 3.6 Mbps HSDPA, and slower UMTS, EDGE, and GRPS connections. The package requires a separate service agreement with a carrier, of course, and the €299 reflects the actual cost, rather than the carrier-subsidized version. The card package ships in May.